b) Facebook: Know all about people’s life, adventures, places and etc. Despite having so many apps, why only top apps are persuaded by users? This question is big but answer is fairly simple. Let’s figure out 9 traits of any extensively downloaded successful apps. All the successful apps have one thing in common, i.e. a simple design. Users choose to go for an app that is built on a simple to understand design. Easy layout, subtle colours and non-complex functioning push users to use the app more frequently as it eases their load instantly. Mobile app development companies need to understand that complex design or any kind of overdo on the app would only make it difficult to use and users might not be interested in using it from time to time. Successful apps don’t need any introduction. We have many brilliant apps to talk about with the passage of time. Smartphones surely introduced possibilities of mobile apps and we haven’t seen back since then. Every passage of time, decade introduces world with a smart app that takes away the woes of daily challenges of a user. It’s important to notice that the highly downloaded apps are built to deliver a realistic value to users. All the successful apps are developed on a core feature and this feature is the Unique Selling Price of the app. For instance – WhatsApp is for connecting with people via various modes only. It only solves the purpose of empowering users with communication facility and nothing else. While simply having a mobile app is not going to sell off itself. All the apps high in demand are built on platforms according to the requirement. Most of the apps are built on both the iOS & Android platforms as they cover almost all segments of target audience. There’s also the choice to implement the cross-platform app development framework to reduce time and cost associated with the development of the app on both platforms separately. Although native apps are favored because they can use full features of the device, your decision must depend on the business requirement. You can consult a mobile app development company that could help you learn more about choosing the right platform. Any app well in design, layout, values, and output is waste if it is not able to deliver good performance. All the successful apps are built such that they don’t forego the trauma of performance at any point of app use. It’s observed that extensively downloaded apps have good speed, easily loads pages, and don’t let users waiting for any transaction. Also, in order to keep the app updated and bug-free, companies ensure timely update on apps so that its performance is modernized, and errors are eradicated. Fact Alert: A study by Dimensional Research found that 80% of app users will attempt to use a poor functioning app, 3 times or less. There are many popular apps that provide the feature of function the app even on offline mode. This enables the users to use the app even if they are in no network zone or no internet phase. This comes with few restrictions since not every feature of app is operational. Only those features can be accessed or availed which once loaded in the morning is capable to load again even without any internet or network zone. This is one big feature that lifts the usage of app amongst users. Security of user data has always been a point of concern for all. However, top apps are built such that it takes full responsibility for securing any kind of user data from cyber-attack threats. Experts are pulled info apps to make sure to keep a check on the security of the apps and the data so that there is no misuse of any user data. For instance – Healthcare industry apps are filled with patient crucial data and apps securely handle those data by either shifting them to cloud with security or hospital database. One of the biggest features of successful apps is that it is integrated with various other apps thus diversifying the effect of the app. Multiple apps are now integrated with social media apps which enable users to share their information over social media if they desire. This builds a horizon of the scope of branding and reachability to a larger audience. Just by developing an app doesn’t make it the best app for users. It may work great for a few months, but it has to be upgraded with any new trend that uplifts the face of the app. App development companies or developers ensure that the app is regularly updated, bugs are removed, speed is enhanced, new features are added and more. All the top apps are equipped with in-app feedback systems. This enables users to communicate with the app developers and tell them about their app experience, feedback, suggestion or others if any. This promotes a two-way communication building a healthy relationship between the users and the app. 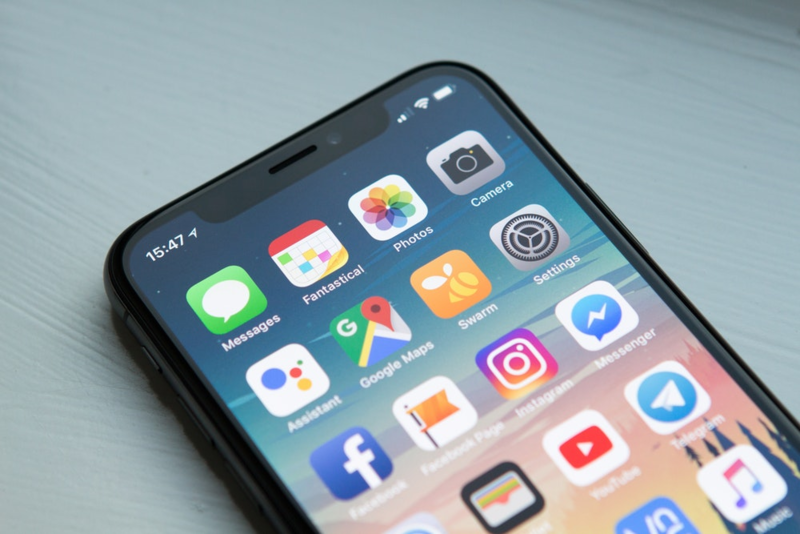 For instance – Many apps have a star rating for the app, a text box to drop the review or share any concern that they might be facing in using the app. To conclude the blog, it’s quite evident that all the successful apps have multiple traits that make them stand different from the crowd. Keeping all the above points could ease the work for any new app developer or development company and help them built an app that is smart and user-friendly. Siya Carla is the Solution Consultant at Finoit Technologies, a prominent IoT application development company which provides unique web design, mobile app development, IoT & software development services. By creating interactive mobile apps for customers across the globe, Finoit enjoys a great reputation as a prominent Android app development company. Binit is the owner of Networklovers(.)com. He loves to read, share and explore the latest technology, simply he is a Passionate Blogger a Tech Lover. He shares unique, Quality and Informative information on different topic Related to Networks and Technology.